The history of the Federal Workplace Drug Testing Program traces back to an Executive Order issued by President Ronald Reagan in 1986, declaring a “Drug Free” Federal Workplace Program to protect the public interest and safety. He charged the Secretary of Health and Human Services to develop and issue guidelines for drug testing of employees that all the Federal agencies were directed to follow. The Executive Order was followed in 1987 by Public Law 100-71 that further delineated the responsibilities of the Department of Health and Human Services (HHS) for the Program. 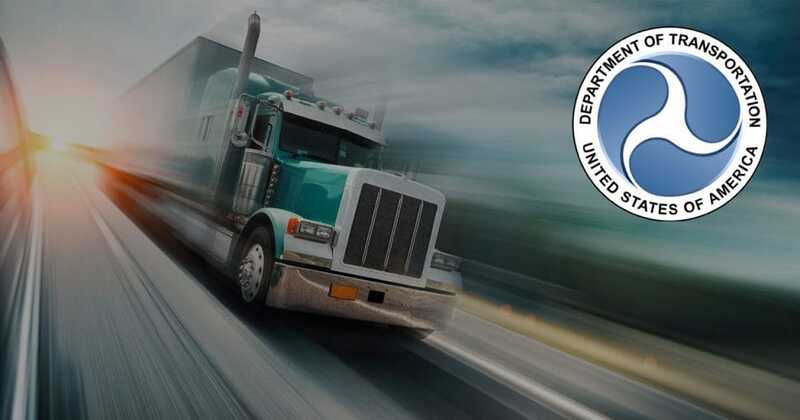 DOT first published its drug testing program regulation, 49 CFR part 40 in 1988 as an interim final rule and based its rule on the HHS Mandatory Guidelines for Federal Workplace Drug Testing Programs. The Omnibus Transportation Employee Testing Act of 1991 set forth the mandate for DOT to rely on the HHS Guidelines for testing programs. As a result, the DOT Federal Workplace Testing Regulations which affect all DOT-regulated drug testing programs have been designed to mirror the relevant HHS Guidelines for testing through every change that might be made to improve the overall testing program and impose better testing standards. In January of 2017, HHS modified the Federal Workplace Drug Testing Guidelines, and the recent DOT revised Regulations, published in November of 2017, harmonizes the regulations to the HHS Guidelines. And of course, all Federally regulated DOT drug testing programs must conform to the requirements. Why Does This Matter to Non-DOT or State Employer Drug Testing Workplace Programs? The new HHS and DOT regulations are expected to directly impact employee drug testing programs in a minimum of 20 states because many state drug testing laws require compliance with the Federal regulations by specifically referencing the DOT Regulations or 49 CFR part 40 or they structure their voluntary compliance laws to include the Part 40 citations. In addition, because the DOT requirements clearly provide drug test compliance for safety sensitive jobs and many court cases have based decisions on the regulations, many State and Non-DOT programs have voluntarily designed their programs around (to mimic) the HHS and DOT Federal programs and regulations. As a result, the drug testing programs that voluntarily follow Part 40 are now faced with the decision to incorporate the new DOT guidelines. DOT issued its final rule in the Federal Register on November 13, 2017, with all changes becoming effective on January 1, 2018. New Chain of Custody Forms and procedures were instituted, and the Office of Management and Budget created an allowance to use old Chains of Custody until June 30, 2018. If you use an old Chain of Custody after that date, there is a required procedure to create a memorandum for the record, and you should be tracking your old forms still available and in use. DOT amended its drug testing program regulation to add hydrocodone, hydromorphone, oxymorphone, and oxycodone to its drug-testing panel; add methylenedioxyamphetamine as an initial test analyte; and remove methylenedioxyethylamphetamine as a confirmatory test analyte. The revision of the drug-testing panel harmonizes DOT regulations with the revised HHS Mandatory Guidelines established by the U.S. Department of Health and Human Services for Federal drug-testing programs for urine testing. The following is the 2018 DOT 5-panel drug test with sub-categories. Testing is still only authorized for urine specimens, although the use of other mediums is under comment and review. NOTE: The new drugs are semi-synthetic drugs and labeled as Opioids and not Opiates, which are derived from the Opium plant. Opioids are not derived from the Opium plant and require a special testing assays. Opioids include OxyContin, Percodan, Percocet, and Vicodin, to name a few of the drugs. In addition, this final rule clarifies certain existing drug testing program provisions and definitions, makes technical amendments, and removes the requirement for employers and Consortium/Third Party Administrators to submit blind specimens, among other additional items not listed here. If employers list sub-categories of drugs tested under the 5-panel, then “Opiates (codeine, heroin, & morphine)” needs to change to “Opioids (codeine, heroin, morphine, oxycodone, oxymorphone, hydrocodone, hydromorphone)”. Also, remove “MDEA” from the list under Amphetamines. Employees should be advised of the changes in any published drug testing policy statement or manual. The Office of Management and Budget issued a new Chain of Custody form, and Non-DOT testing programs must use a “Non-Federal” chain of custody. Professional and trained collectors should know that the DOT modified the shy bladder process. The collector will now discard any specimen provided during the collection event when the employee does not provide enough specimen by the end of the three hour wait period. Employers should notify their providers of changes in their requirements and forms since laboratories may not know where collections are taking place. Three new fatal flaws have been added to the four existing fatal flaws that cause a drug test to be cancelled. Although the DOT drug test panel will remain listed as a 5 panel, the additional drugs are deemed an expanded panel for opioids. Employers that are truly in a DOT regulated industry MUST send specimens to a SAMHSA Certified lab for analysis. However, DTIB has created aDOT Mimic Cupthat is a great fit for facilitating the change in the employer’s testing program and aids those that are in a non-regulated industry but would like to mimic DOT testing. Our goal was to create a 510K Cleared to market rapid device that most closely mimics the drugs and cutoff for the new DOT panel, at an affordable price. Please check out our website for information on the DOT Mimic Cupor call DrugTestsInBulk.Com at 866-465-2855 for more information.